The world used to be whole. Used to be. It was shattered into infinite little pieces, and each piece took on a life of its own. Linked by ancient pathways, these innumerable worlds each have their own innumerable quirks and threats, but all exist independent of each other. Or they would, were it not for the Gates and their chosen, the Gate-Striders. The Striders walk the star roads between the worlds, saints to some worlds, heralds of the end to others. 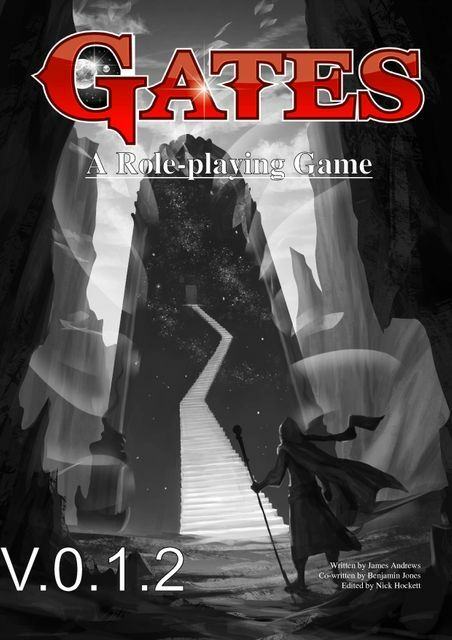 Gates is a tactical combat RPG set in a shattered reality where the next world you walk to is nothing like the last. You could walk out of a world of fiefdoms and fantasy, and enter a world of frontier justice and rampant spirits. Build a unique character and work with your friends to overcome the challenges of the infinite worlds. Teamwork is vital to your success, and your survival. Customize everything, from your equipment to your spells to the very ground you walk on. Step through the Gate, and face a world beyond your wildest imagining. Gates is a fantasy rpg about world jumping heroes. Travel to distant worlds, forgotten dungeons, and dazzling cities.